There are many articles and books written about managers as coaches and even an article on the Harvard Business Review website claiming that you cannot be a great manager if you are not a good coach. While this may be true in many circumstances and there is a need for managers to adopt more of a coaching habit, it is not always applicable or necessary for a manager to always put on the coaching hat. 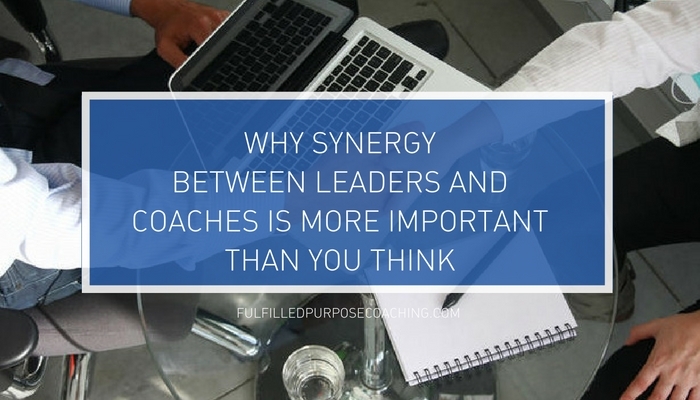 In my role as a externally hired coach, I have seen a wonderful synergy working alongside a business owner who seeks to improve employee engagement. My coaching role plays a complementary role to hers and it is encouraging to see how we work together towards the same goal of developing the staff in various areas all with the hopes of increasing their engagement and performance. After sitting in a few sessions of group coaching me with her staff, her feedback was that it was refreshing to hear insights from her staff speaking to me about things they would not be so willing to express to her and that I had asked questions she would not have thought of asking. The thing is, her staff did want her to hear these things they were saying because they were fully aware that she was in the room, and given the time, opportunity, and certainly the right questions, they freely shared what was on their minds. In addition to that, there were issues that her staff had repeatedly complained to her about directly and indirectly that she did not have the time or energy to address. The business owner literally felt a burden being lifted off of her. I came in with fresh ears and questions for them to feel safe to air out their concerns without being worried about being judged. As coaches, you need to be able to suspend judgment so you can ask questions in broad strokes and not direct our guide your coachee’s thinking. It is not hard to imagine that suspending judgment can be a real challenge for a manager who is coaching her staff or the staff being worried about what her supervisor would think of her answer. Ultimately, this would terribly hinder the Awareness stage of the coaching conversation since it would affect how questions are asked and, therefore, the answers given. The role clarity and distinction between leader versus coach was one of the most helpful keys to unlock obstacles against low engagement. I encouraged the business owner that she was fulfilling her role as the leader and that is what her organization needs. The staff need clear direction and strong leadership from their manager. The coach furthers that work by walking with and encouraging the staff through engaging them with good questions that help them gain more awareness of themselves and the situation. Are you a manager who coaches? What has been your biggest challenge in coaching your staff and how do you overcome them? Are you an executive who is seeking to boost employee engagement and enhance your overall organisational health? Submit your email and we will be in touch about the customised tools and solutions we offer. Fulfilled Purpose Coaching Co., Ltd.
© Copyright 2018 Fulfilled Purpose Coaching Co., Ltd. All Rights Reserved.